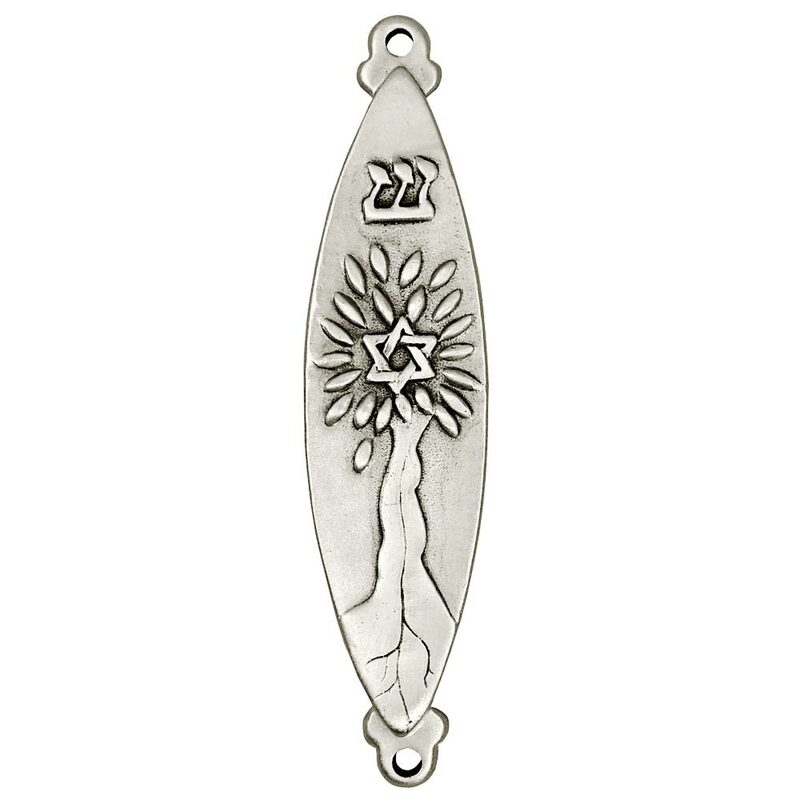 This Gorgeous Pewter Tree Of Life Mezuzah Has A Very Contemporary Design. 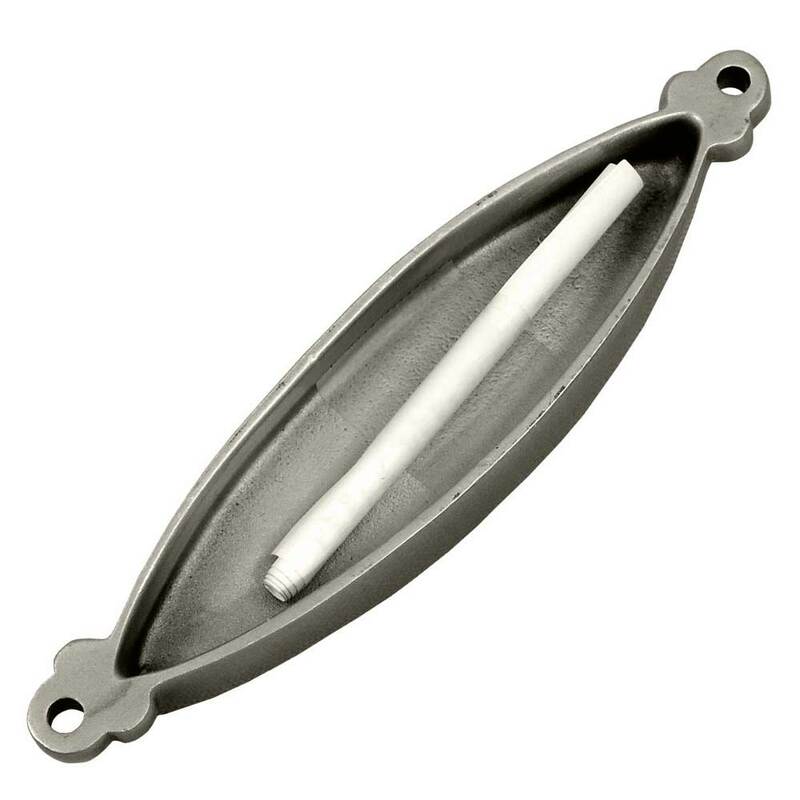 The Mezuzah Features A Lens Shape; Two Circular Arcs Join At Their Endpoints To Create A Brilliant Design. Towards The Center Of The Mezuzah Is An Artistic Tree Of Life With A Star Of David Fixed In The Core Of The Tree's Leaves. An Ornamental Shin Is Placed Towards The Top Of The Mezuzah. 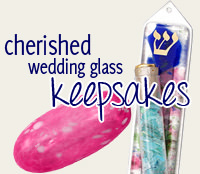 Designed And Crafted In The USA, This Mezuzah Measures Approximately 4" Tall.